Our top notch attorneys are supported by an exceptional and caring staff, ensuring that you receive dedicated and personal attention to your case, while maintaining the highest standards of ethics and professionalism. Established in 1994, we represent clients in the areas of Family Law, Divorce, Legal Separation, Estate Planning, Probate, Criminal/Traffic, Real Estate, Corporations and Litigation. 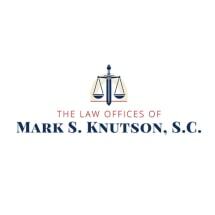 Our team of three lawyers and five support staff members is led by Attorney Mark Knutson who has over 39 years of legal experience. Our legal team works with our clients to create the most direct way to the best possible outcome. Listening to the client's priorities, concerns, and ideas, we chart a course of action together. Our clients approve everything done on their behalf beforehand. Decisions are approved, or not, on the basis of a clear explanation. Because our practice is not limited to one or two areas of law, we have the considerable ability to identify the ramifications of a particular legal issue across the spectrum of peoples' lives. When you need a lawyer, call one that you can trust - and one who will both trust and respect you. "Thanks for helping me when everything seemed hopeless."